Effective marketing is a tricky deal. You’ve only got “X” amount of dollars to spend on a marketing budget and a whole host of options to choose from. How do you decide what will be the most effective marketing means and which ones are simply a waste of money? In the past, traditional marketing efforts involved tv and radio commercials, and billboards were the go-to methods of proudly advertising your school. Although these methods are still popular, they lack one key element: a clear target. They exist for everyone to see in hopes that a few will respond. But perhaps, there’s a better method. The answer is clear: Inbound Marketing. Through strategically displayed messages, your advertising efforts will become much harder to ignore and will ultimately fall right in line with the right target audiences. Inbound marketing solutions, when used as part of a comprehensive program, are the perfect way to minimize any wasted advertising efforts. Here are a few points to remember. There are many avenues that you can take to display your school for prospective students. Because Inbound Marketing involves reaching out to your customer instead of hoping they come to you, you’ve got to be intentional about placing your messages where they’ll actually be seen. Don’t assume that one single effort, such as creating a website, is enough to shout your message loud and clear. Use as many outlets as possible to spread one cohesive message about your program that your audience can’t ignore. These outlets include - but are not limited to - regular blogging, SEO, social media marketing, and email marketing campaigns. Think personalized and tailored messages for a very specific target audience. 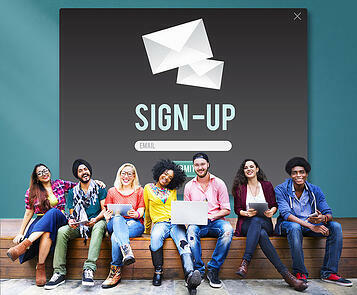 Successful inbound marketing will entice your target audience to truly become invested in your school and its message. A combination of strategically planned marketing efforts will guide your future students through each step of the cycle in a personalized manner until they’re proudly wearing one of your school t-shirts. Once they’ve been added to your enrollment list, they’ll become your earned advertisers; their word of mouth recommendations will be one of the greatest tools to help strengthen your school’s brand recognition. Once you’ve determined what your marketing strategies should be, successful inbound marketing rests on one thing: interesting and relevant web content. Be diverse, creative, and original. Remember that the purpose of inbound marketing is to align your trade school with the educational interests of potential students. Give your audience a reason to click on the links and learn more. Are you a trade or vocational school looking to increase enrollment? Have your previous efforts offered less than ideal results? 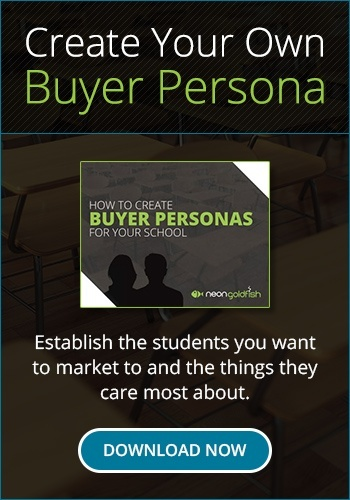 The web designers and content creators at Neon Goldfish can implement effective inbound marketing strategies to turn strangers into enrolled students at your school in no time. Contact us today to learn more.